Croydon Hill is located at 201 Hillside Ave. in Charlotte, North Carolina. Ranging from 1700 to 2300 square feet, each unit has three bedrooms and three and one half bathrooms. The kitchens are renovated and have new kitchen aid appliances and amenities and are fit for any cook. Storm doors and insulated windows have been installed for your comfort and you will love the living room area which includes a wonderful gas log fireplace. The spacious dining room is fabulous for family meals and entertaining guests as well. Each unit has an enclosed patio so you can spend time outside reading a book or just enjoying the great weather and a two car garage is attached to the building also. 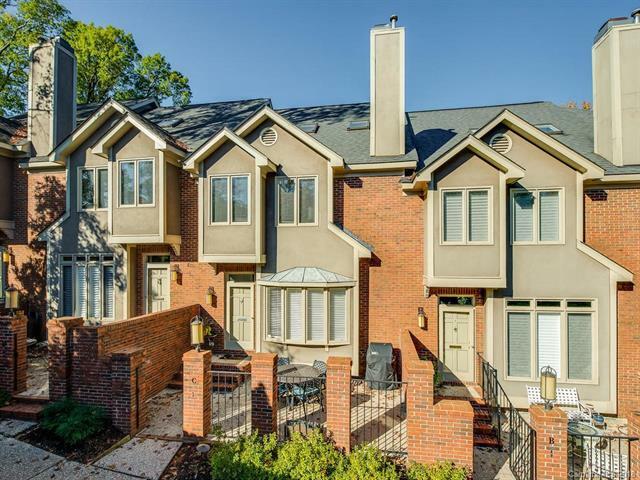 Croydon Hill is in a very convenient location in the growing area of uptown Charlotte close to many things to go see and do! Numerous restaurants are located within a mile of Croydon Hill. There is also a Starbucks and Caribou Coffee very close so you can swing by and pick up your quick morning cup of coffee or sit down and enjoy a latte with friends after a hard day at work. Many basketball games, concerts, and events are hosted at the Bobcats Arena only a couple miles away and you’re definitely not far from the Bank of America Stadium, home of the Carolina Panthers! You will love everything about Croydon Hill including its stupendous interior and exterior features as well as its surroundings.